Government websites are often built on the cheap and include all kinds of third-party components. So not even the governments of EU member states comply with the union’s General Data Protection Directive, which requires site administrators to make sure users consent to the collection of their data. If you visit a National Health Service website with questions about whether you are HIV positive, pregnant or sliding into alcoholism there’s a good chance you’re being watched in order to be targeted with ads. 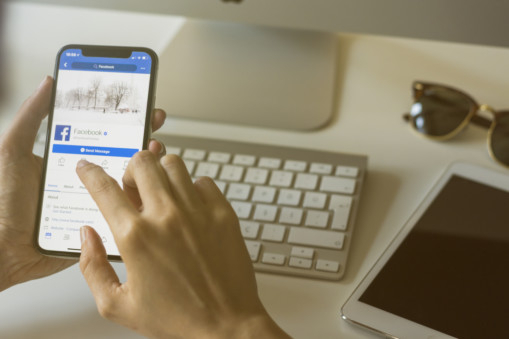 (It’s likely the situation is similar in the US where Facebook trackers are officially allowed on the websites of government health care services, but unauthorised ones are likely also present). Cookiebot, of course, is an interested party. It has developed a technology to scan web pages for trackers, and it’s selling tools to ensure sites are GDPR-compliant. If you administer a site, Cookiebot wants you to worry about unauthorised trackers and potential large fines for GDPR noncompliance. But if privacy regulators decided to use a similar technology to check all sites for compliance, they’d be swamped and most violators would never be fined. Besides, it could be argued that smuggled trackers are akin to viruses, and that websites cannot be held responsible for noncompliance if they’ve been, in effect, hacked. A ban on all targeted advertising, or even just on targeted political ads, as the inventor of the World Wide Web, Tim Berners-Lee, has suggested, would probably go too far. But there is a more effective way of regulating than trying to micromanage cookie settings. Governments could seek to ban ad targeting based on anything except information directly provided by internet users. If I haven’t indicated that I want ads tailored to my location, age, marital status, specific list of interests or, say, my Amazon purchase history, I shouldn’t be getting any tailored ads. Those who want more personalisation, and thus potentially more relevant ads, should choose those options when signing up for social-network and free-email accounts, as well as when subscribing to news media that sell ads. Those who don’t want it should be shown random or loosely targeted ads, just like in the pre-tracking days. Leonid Bershidsky is a noted columnist. He was the founding editor of the business daily Vedomosti and founded the opinion website Slon.ru.